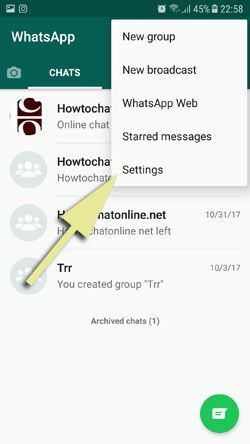 As we have mentioned at cons of two step verification, WhatsApp will keep ask you PIN code whenever you run the application on your Android phones or tablets. 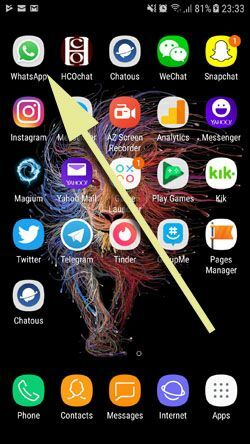 If you are tired with that and if you would like to remove this feature from the application, we are going to provide step by step guide for removing this feature on this page. We have already told you how to enable this feature. You can click here if you would like to enable two step-verification instead of removing it. Let us begin to tell you how to do that step by step. Feel free to ask your questions via commenting this page. 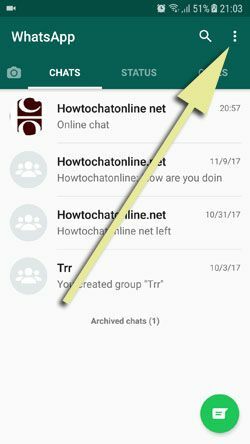 2-) Tap menu of the WhatsApp. It is three dot menu at the top right of the app. You can see it at the picture below. 3-) A menu will appear on your screen. Tap “Settings” on menu. 4-) Select “Account” on the settings page. 5-) Tap “Two-step verification” in account page. 6-) Tap “Disable” button on the page and confirm that you want to disable two-step verification. You are done, you have removed the two-step verification from your account with all steps above. Also See: Does WhatsApp Charge for International Calls? There are a few things to talk about pros and cons of this feature if you ever disable it. WhatsApp is not going to ask you PIN code whenever you try to enter to the application. This is the only positive side of disabling two step verifications. Your conversations and privacy won’t be in secure if someone else is using your phone at school/home/work. PIN code is disallowing people to reach your conversations directly if they even have your phone. If you ever lose your phone or if your phone has stolen, your conversations can be read by someone else. You can check our tutorial if you would like to change your email address for two step verify.